See through clothes with this Color X-ray glasses. Program in up to 20 mobile phone numbers. Then standby to intercept both sides of a phone conversation. Bug land line phone conversations with no distance limit. Bug anyone from anywhere. Hear both sides of a conversation when dial in to listen. Know what number was dialed in or out. Receives in coming or out going SMS copies. Put this unit in any vehicle, purse, briefcase etc. It will send GPS coordinates via text message to your mobile phone. Simply key in the coordinates in to any map software or Google Earth online and find out where the person are or has been. Also can be used to protect your child, elderly, vehicle or any of your valuable belongings. Works both indoors and outdoors! Recover Deleted Texts Ensure your child's safety or your lover's fidelity by reviewing text messages and calls on your computer. 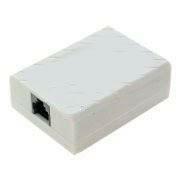 Works with ANY SIM card or Smart Card. This is only a small part of what this SIM card/SMART card detective can do. See invisible ink with these glasses. Glasses that allows you to see invisible ink. VIEW BUG Secretly view any room with No distance limit. This sharp looking pen allows you to record any sports, home movies, parties, secret video etc. With professional quality video and audio. 4.0 Mega Pixel, 4GB. Records vivid Color video and clear audio. It writes like an ordinary pen. Records or stop recording with a push of a button. No one will suspect that they are being recorded. This sharp looking pair of sunglasses allows you to record any sports, such as skiing, biking, sailing, riding, snow board, jogging ; hobbies such as remote control cars, planes, home movies, parties, secret video etc. With professional quality video and audio. 1.3 Mega Pixel, 4GB or 16 hours of recording time. Records vivid Color video and clear audio. No one will suspect that they are being recorded. Wireless Color pen video camera with audio. 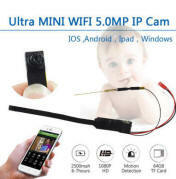 Take any discreet video anywhere anytime Small Color wireless video camera with video + audio receiver. 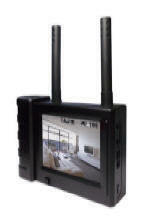 Smallest wireless Color pinhole video camera with audio (receiver built in to a palm size monitor) Hides inside any room. See inside other rooms without opening a door. Amazing 8,800 pixel per 1.5mm diameter is very powerful, unlike cheap large scopes that gives blur images. Mobile phone voice changer. disguise your voice with the voice changer. Smallest Color pinhole video camera.